This popular variety derives from the family of Pinot and prefers cooler climates. It finds its ideal habitat in the Veneto Region. 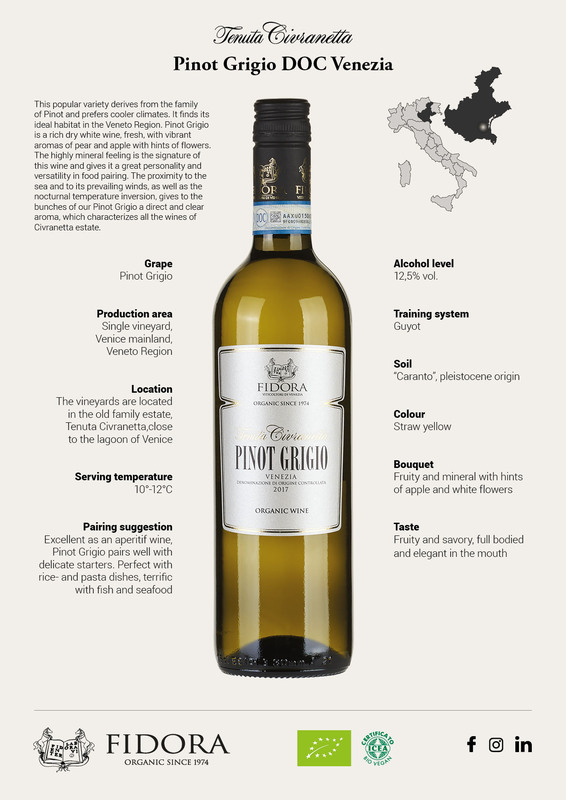 Pinot Grigio is a rich dry white wine, fresh, with vibrant aromas of pear and apple with hints of flowers. The highly mineral feeling is the signature of this wine and gives it a great personality and versatility in food pairing. 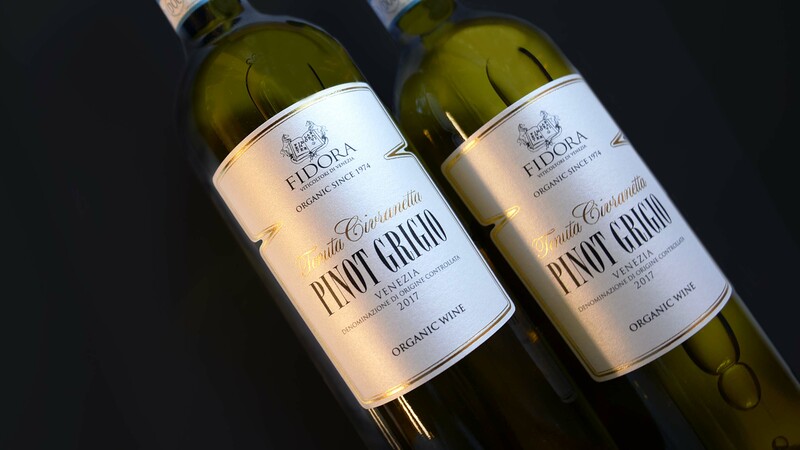 The proximity to the sea and to its prevailing winds, as well as the nocturnal temperature inversion, gives to the bunches of our Pinot Grigio a direct and clear aroma, which characterizes all the wines of Civranetta estate.